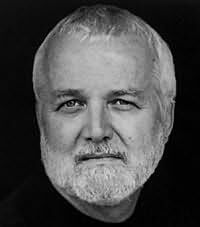 Russell Banks is a member of the International Parliament of Writers and a member of the American Academy of Arts and Letters. His work has been translated into twenty languages and has received numerous international prizes and awards. He has written fiction, and more recently, non-fiction, with Dreaming up America. His main works include the novels Continental Drift, Rule of the Bone, Cloudsplitter, The Sweet Hereafter, and Affliction. The latter two novels were each made into feature films in 1997. "Holley Rubinsky's voice is clear, her eyes and ears are carefully tuned, and she has something fresh and loving to say about the world that we live in daily..."
"In Gallant's stories, the conflicts, obsessions, and concerns - the near-impossibility of gaining personal freedom without inflicting harm on those whom you love and who love you; the difficulty of forgiving a cruel and selfish parent without sentimentalizing him; or the pain of failed renewal - are limned with an affectionate irony and generated by a sincere belief in their ultimate significance, significance not just for the characters who embody them, but for the author and, presumably, the reader as well." "A powerful, scary and beautiful novel. Abani is a force to be reckoned with, a world-class novelist and poet." "His best stories are great stories, as dark, tough-minded and funny as any I've read in years." "Peter Nathaniel Malae is the real deal. He's like Nelson Algero of Richard Wright, one of those writers, who ca bit with both hands."